El blog de Miss Aoki: ¡bienvenido Otoño! 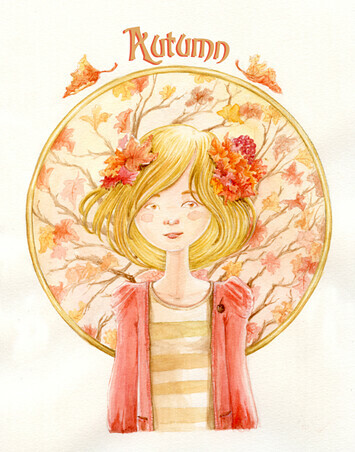 // Welcome Autumn! Hi, lovely!!!!!! :-*** This is a fantastic, awesome illustration!!!!! I love it!!! These branches as a flowers and girl - she is sooo cute, so pretty!!!! You know, I was in Prague too, in august... :) I saw genie, pity that I have not seen you, dearest!!! @ti-gra: Hi! I'm glad you love this drawing! the colors are just great and you captured it beautifully! beautiful!!!! your work is amazing! This is a great "update" of Mucha! Wonderful!